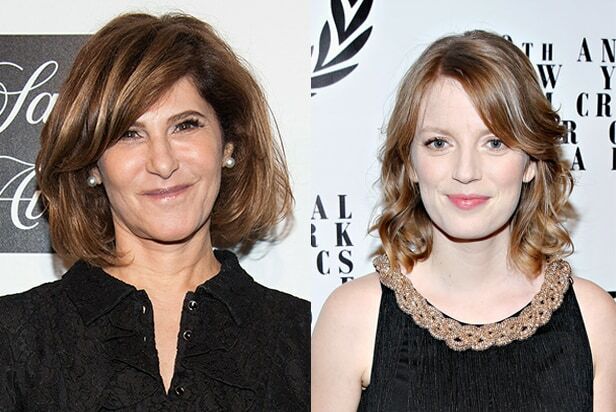 Amy Pascal has come on to produce “Little Women” for Sony Pictures, which has hired Oscar-nominated screenwriter Sarah Polley to adapt Louisa May Alcott’s classic novel, TheWrap has learned. Loosely based on the author and her three sisters, “Little Women” is a period drama that follows the four March sisters as they come of age following the Civil War. Polley does not have a deal to direct “Little Women” at this time, so while Sony might be courting her for that job down the line, she won’t decide whether to step behind the camera until she finishes writing the script, according to an insider. Pascal will produce “Little Women” with Denise Di Novi and Robin Swicord, marking the rare studio project to boast three female producers as well as a female screenwriter adapting a book written by a woman. This latest development comes at a time when Sony has rededicated itself to female-led projects, such as Paul Feig‘s “Ghostbusters” and the Chloe Moretz sci-fi movie “The 5th Wave.” The studio has also been hiring more female filmmakers, as Rachel Goldenberg (“Funny or Die”) is in negotiations to direct the comedy “I’m In Love With the DJ,” while Oscar winner Diablo Cody will rewrite its “Barbie” movie. Last adapted more than 20 years ago, Sony’s “Little Women” remake was revealed in October 2013, when Pascal was running the studio. Previous versions of “Little Women” have starred Winona Ryder (1994), Katharine Hepburn (1933) and Elizabeth Taylor (1949). Since exiting her executive post at Sony, Pascal has been entrusted with some of the studio’s top franchises, such as “Spider-Man,” “Ghostbusters” and “Barbie.” She is also developing “Girls Like Us,” which chronicles the rise of folk singers Carole King, Joni Mitchell and Carly Simon. Polley, who recently executive produced the domestic violence documentary “A Better Man,” is represented by WME, Circle of Confusion, Gary Goddard Agency and attorney Alan Wertheimer.